One of the major advantages ductless heat pumps have over other heating and cooling system is their longevity—they can last up to 20 years or more! 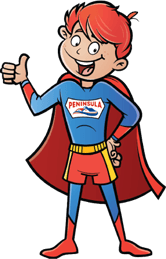 And when you’re ready to replace your ductless mini-split heat pump, you can call Peninsula! The benefits of ductless mini-split heat pump replacement often more than outweigh the costs and a new system can keep you comfortable for many years to come. 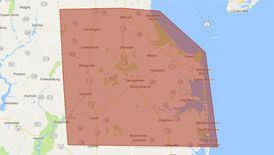 If you need ductless mini-split heat pump replacement in Delaware or Maryland, call Peninsula today at 302-629-3001302-629-3001 or click here! The benefits of ductless mini-split heat pump replacement often more than make up for the costs, making your family much more comfortable and saving you money in the process! Reduced cooling costs – ductless mini-split heat pumps are already very affordable, and when you replace your old system with a newer model you’ll likely see even more savings! A friendly Peninsula air conditioning technician will help you sort through your options and work with you to decide on a system that fits your budget. Improved comfort – new developments in airflow technology, heating and cooling capacity, and moisture control are being made every day, and a new ductless mini-split heat pump can make your family more comfortable than you ever expected! Tax benefits – did you know that through the end of 2013 you can get a tax credit good for up to $300 when you purchase a qualifying ductless mini-split heat pump? If you’re thinking of installing a new heat pump, the time is now! Dependability – if your heat pump is only a few years old and has a minor problem, having it repaired should be fairly easy and effective. Once it starts getting up there in age, however, another repair might not be cost-effective. Replacing it with a new system will provide you with that peace of mind that comes from knowing your ductless mini-split heat pump will last another 20 years. To find out more about our ductless mini-split heat pump replacement services, contact us today!